Cardiff Blues are close to signing back-rower Will Boyde who has been released by the Scarlets. 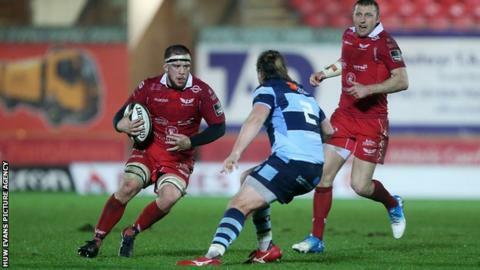 Boyde was one of four players who were let go by the Scarlets and is in talks to link up with John Mulvihill at the Arms Park. The 24-year-old has not been offered a new contract after playing for five seasons in Llanelli. Outgoing head coach Wayne Pivac says that decision was out of his hands and he would have re-signed him. Boyde was presented with a memento on the field after his final home game against Zebre at Parc y Scarlets. Pivac said afterwards he was glad Boyde was staying in Wales although he refused to reveal which region he was joining. "I am pleased to know he will be staying in Wales and playing at professional level."